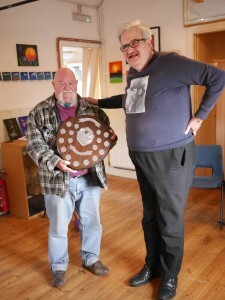 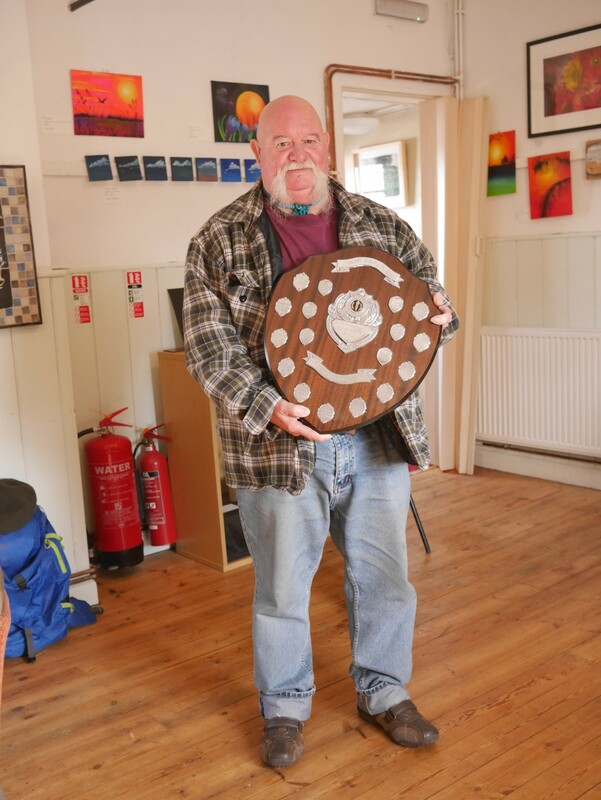 Presentation of the Peter Bersey shield by Peter Bersey to the winner Chris McCann, member from Northern Ireland who travelled over especially to take part in the contest. 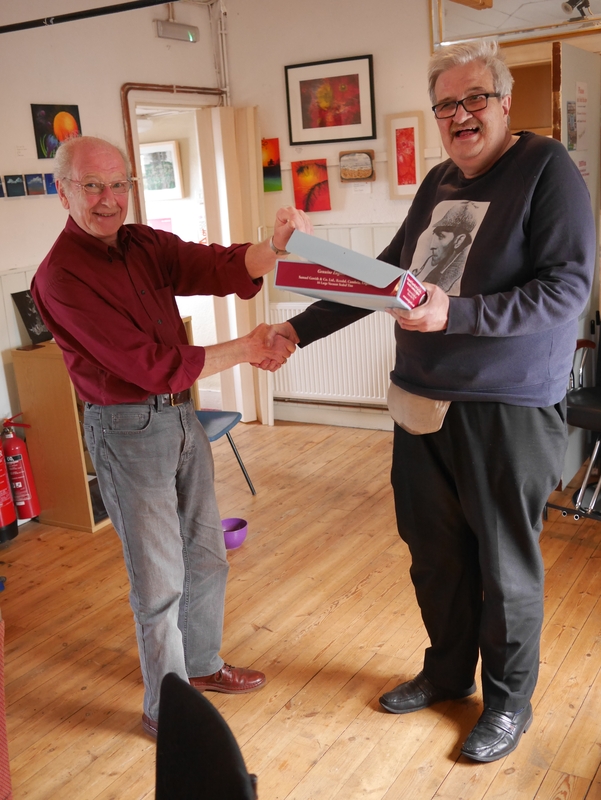 Presentation of the prize to the winner by your Hon.Sec/Treasurer John Green. The winners time was 1 hour 17 minutes and 22 seconds. The tobacco was Samuel Gawiths “Navy Flake” kindly donated by Gawith Hoggarth.